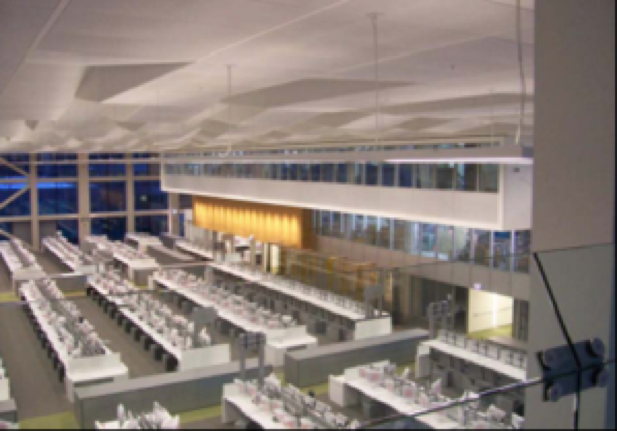 Located in the historic Chicago Mercantile Exchange building in Chicago, IL, BP constructed a new 220,000 SF LEED Platinum Certified trading floor, office, and data support center. This project was in support of BP’s mission to establish Chicago as a strategic hub for the oil business in North America, and as such was expected to attract top industry talent to the facility. BP’s information technology department relocated its trading operations from its current suburban location in Warrenville, IL to the new location in 2010. The project consisted of an extensive renovation of 3 office floors on two separate office towers, a new 3-story open trading floor consisting of 550 workstations, and associated mechanical spaces on 3 other floors.